Stephen Cochell represents individuals and companies against allegations of public corruption, extortion, racketeering, fraud, including mail fraud, wire fraud, securities fraud, tax fraud, health care fraud, bank fraud as well as identity theft, theft of trade secrets and insider trading. As a former federal prosecutor, Navy lawyer and Chief Disciplinary Counsel, we have the depth and experience in assessing potential criminal liability and presenting an aggressive defense against allegations raised by either local, state or federal authorities. Unlike many criminal defense attorneys whose legal practice has focused solely on criminal law, the Cochell Law Firm not only has extensive experience in defending criminal cases, but Steve also has extensive background and experience in corporate governance, internal investigations, business law, and civil litigation. 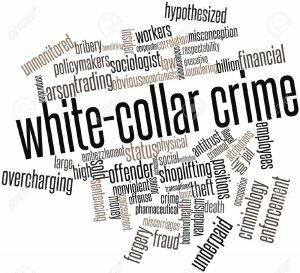 One of the keys to successfully defending a white collar matter is the use of expert testimony to analyze financial information, bank or industry-specific practices, foreign or domestic regulations, as well as thorough analysis of the law in the relevant jurisdiction. There are degrees of success in criminal matters ranging from an acquittal or dismissal of charges prior to trial, to posturing a case for a favorable plea agreement, including agreements on the sentencing guidelines. Certain criminal prosecutions start as regulatory matters but can ripen into criminal prosecutions. Early intervention and analysis of a civil regulatory matter can limit an individual’s risk of prosecution by the authorities and result in a prosecutor’s decision to decline prosecution or informally divert the case from the criminal justice system.